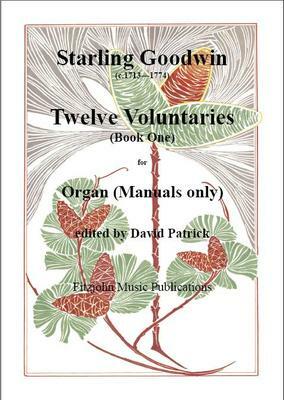 These Twelve Voluntaries are a typical example of organ music for manuals only by an 18th. century English composer. They are delightful and varied pieces which are very suitable for church or recital use. Each Voluntary consists mainly of a slow introductory section followed by faster, more lively movements. Starling Goodwin was a London church organist as well as organist to the famous Ranelagh Gardens. What do you want to know about Twelve Voluntaries (Book 1) by Starling Goodwin ?